There is a particular kind of music that one expects from different kind of movies coming from the house of Yash Raj Films. 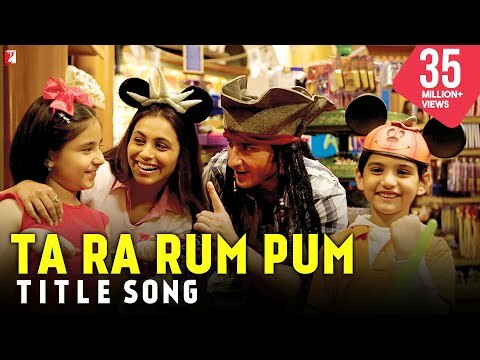 Ta Ra Rum Pum brings a smile to your lips and song to your heart. 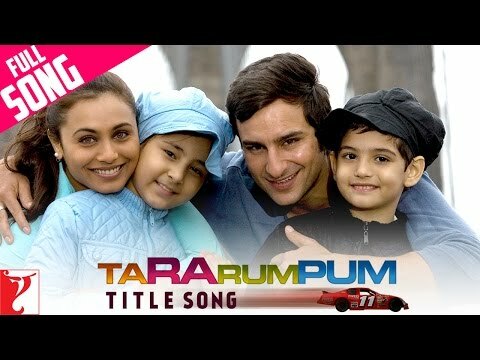 Ta Ra Rum Pum is a modern-day fairy tale. Yash Raj created magic with speeding bikes [DHOOM]. Bottom line: worth a summer holiday outing..just about..but that’s still saying a lot about the movies today at the plexes. Ta Ra Rum Pum tops with captivating performances and skillfully blending of emotions. 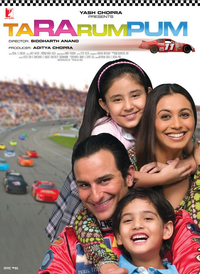 Banks and credit card companies may not be too happy with writerdirector Siddharth Anand, Saif Ali Khan and Rani Mukherjee. Together they propagate the trend of 'buy-not-pay-later' as bad. Installments are bad, going down heavy on credit cards is bad, saving is cool, spending lavishly is not so cool! Most of the recently released movies like Namestey London, Shakalaka Boom Boom, Kya Love Story Hai are all set against a foreign backdrop. Ta Ra Rum Pum is another addition to this list.